Last week there were no books to discuss, but this week was a VERY good week for books! First of all, I really want to read every single book that showed up in the mail this week. Second of all, I took Thursday and Friday off from work and had a great find at a bookstore on one of those days. For reviews, I haven’t gotten much writing done with my mini-vacation, but my next reviews will be Ashes of Honor by Seanan McGuire and House of Shadows by Rachel Neumeier. Both of these were wonderful. I just finished Ashes of Honor before starting this post and think it’s the best book in the October Daye series yet! One of the books that came in this last week is the finished copy of a book I already talked about in a previous post so I’m not going to include all the info on it again in this one. If you are interested in reading about This Case is Gonna Kill Me by Phillipa Bornikova, you can read about it here. It’s an urban fantasy debut that will be on sale on Tuesday. This stand alone science fiction novel will be on sale in hardcover and ebook on December 26 in the US. It will be released in the UK later this month (September 27). 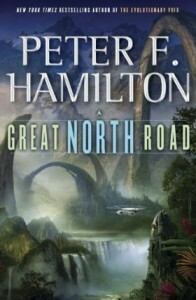 I have heard that Peter F. Hamilton writes fantastic books so I’m really excited about this one. As a slow reader, I’m also a bit daunted by the length (my ARC is hardcover size and about 950 pages), but mostly I’m excited to read it! I have been curious about both this book and Kari Sperring’s first novel, Living With Ghosts, for awhile now so I picked this one up when I came across it at the bookstore. It’s set in the same world as the first novel but takes place about 150 years later. 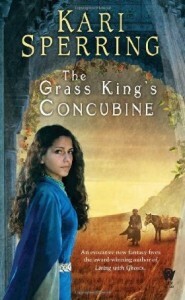 The Grass King’s Concubine was released in mass market paperback and ebook last month. 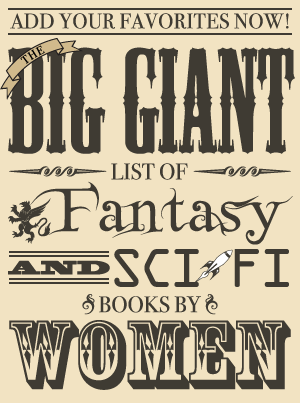 There is a giveaway for 10 copies on Goodreads right now that is open to a lot of countries. The only excerpt from The Grass King’s Concubine I could find is on Amazon. This debut will be released in mass market paperback and ebook on September 4. An excerpt is available on the publisher’s website. I love reading about telepaths and think this sounds like fun so I’m looking forward to reading it. 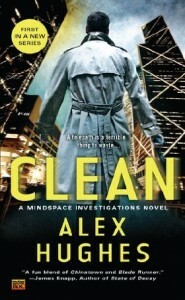 I’ll be reading it pretty soon since I’m participating in the blog tour for Clean later this month. A RUTHLESS KILLER—OUT OF SIGHT, OUT OF MIND I used to work for the Telepath’s Guild before they kicked me out for a drug habit that wasn’t entirely my fault. Now I work for the cops, helping Homicide Detective Isabella Cherabino put killers behind bars. My ability to get inside the twisted minds of suspects makes me the best interrogator in the department. But the normals keep me on a short leash. When the Tech Wars ripped the world apart, the Guild stepped up to save it. But they had to get scary to do it—real scary. Now the cops don’t trust the telepaths, the Guild doesn’t trust me, a serial killer is stalking the city—and I’m aching for a fix. But I need to solve this case. Fast. I’ve just had a vision of the future: I’m the next to die. This is the great book find I had when I visited a bookstore a couple days ago! 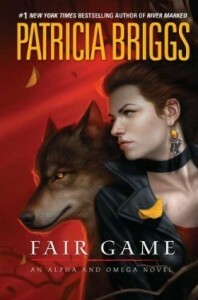 Patricia Briggs signed at a bookstore in my state as part of the book tour for Fair Game earlier this year. I didn’t go even though it’s pretty rare for an author to come to my state since it was still 2 – 3 hours away from me and the event was on a weeknight, plus I’m not nearly as big a fan of Alpha and Omega as Mercy Thompson (Alpha and Omega is a spinoff series related to the Mercy Thompson books). On Friday, I was in the same city and decided to check out the bookstore while I was there. While browsing I came across Fair Game. I wasn’t planning to buy it since I still haven’t read the second book in the series, but a sticker that said “Autographed Copy” caught my eye and I decided I just couldn’t pass up a book autographed by Patricia Briggs! I felt lucky to find it since there were only 2 copies on the shelves and the signing was months ago now. I’ve been hearing this particular installment in the series is amazing so I’m pretty excited about finding a signed copy. Fair Game is available in hardcover, ebook, and audiobook. The first story in the series is actually a novella titled “Alpha and Omega” that is available in an anthology, On the Prowl. The first novel is Cry Wolf and the second is Hunting Ground. An excerpt from Fair Game is available on the publisher’s website. 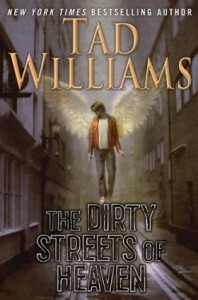 The first book in a new urban fantasy series by Tad Williams will be released in hardcover and ebook on September 4. I was sent an ebook copy to take a look at. I don’t read a lot of ebooks since I prefer paper books and have a significant number of them around, but I am considering reading it after looking at it. It looks interesting, and I’m kind of ashamed to admit this as a fantasy fan, but I’ve never read a book by Tad Williams before. That’s definitely something that needs to be remedied at some point!